Nestled on a very desirable cul-de-sac in the beautiful golf community of Blacklake is this charming 3-bedroom, 2-bathroom single-level home. This nicely landscaped property sits on a large lot which gives you plenty of front and backyard space. There is a very pretty park-like area in the middle of the cul-de-sac and all the homes in this cul-de-sac are on big lots that circle the park. Bask in this homeâs serene backyard retreat. When itâs time for your daily dose of fresh air and relaxing views, step onto the covered patio overlooking a good-sized lush backyard. This is a one-owner home and it is clean and well-maintained and ready for your upgrades. 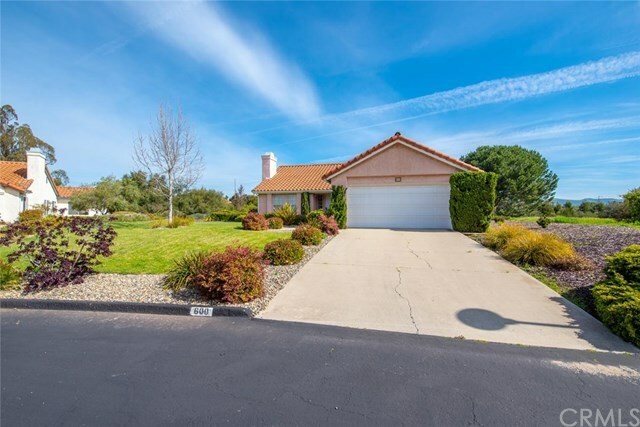 If youâve been looking for a golf home where you can relax and enjoy a laid-back lifestyle, this Nipomo home could be what youâre looking for. Enjoy golf, free summer concerts, a swim club (separate membership) and other activities in this delightful community!